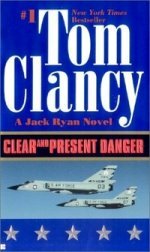 Аннотация к книге "Clear and Present Danger"
"Rousing A crackling good yarn!" The Washington Post "Heavy-caliber excitement!" St. Louis Post-Dispatch "The issues raised are real ones, and a jump ahead of the headlines". The New York Times Формат: 10,5 см x 17,5 см.